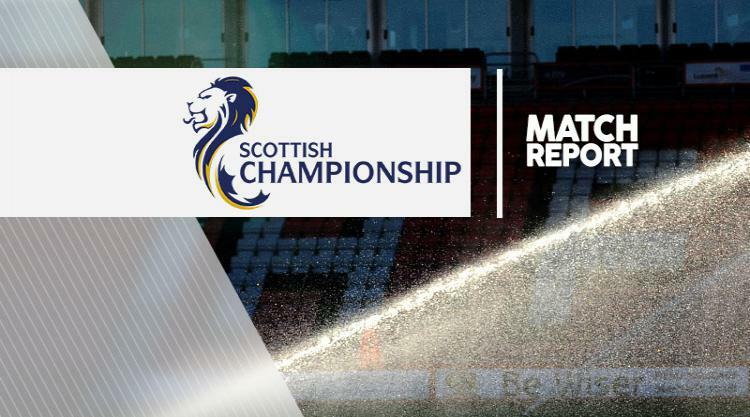 Hibernian missed the chance to extend their already sizeable lead at the top of the Ladbrokes Championship as they were held to a 1-1 draw at Dunfermline. With second-placed Morton surprisingly losing to Dumbarton, Hibs could have moved 11 points clear at the summit with a victory over Dunfermline. And that looked set to be the case as they took a 12th-minute lead through John McGinn's brilliant long-range strike which found the bottom corner of Sean Murdoch's net. However, after an evenly-fought first half, sixth-placed Dunfermline drew level just before the hour after being awarded a penalty for handball, Kallum Higginbotham the man to net from the spot. Both teams had chances to force a winner in the closing stages, but neither could find a way past rival keepers Murdoch and Ofir Marciano as the spoils were shared, leaving Hibs nine points clear of Falkirk, who leapfrogged Morton into second with a win over Raith.